Malcolm Turnbull’s cabinet are growing increasingly fearful that he is risking the rise to power of the Dark Lord by continually saying his name out loud. However, at a press conference this afternoon, Mr Turnbull showed a flagrant disregard for Ms Bishop’s concerns in a speech about border protection. 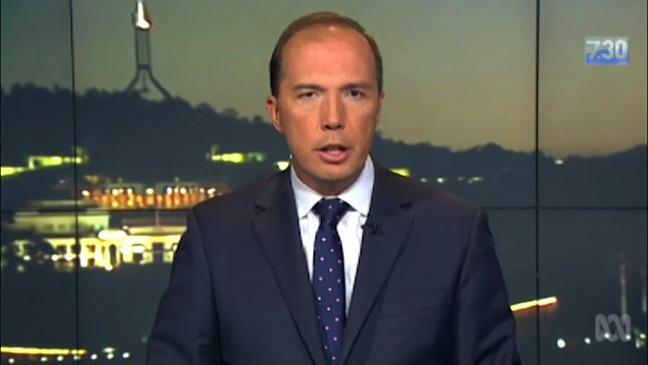 During the speech, while lurking ominously in the shadows, Mr Dutton’s eyes began strangely glowing as he stared intently at Mr Turnbull. The Prime Minister suddenly appeared vague and disoriented as he continued his speech.